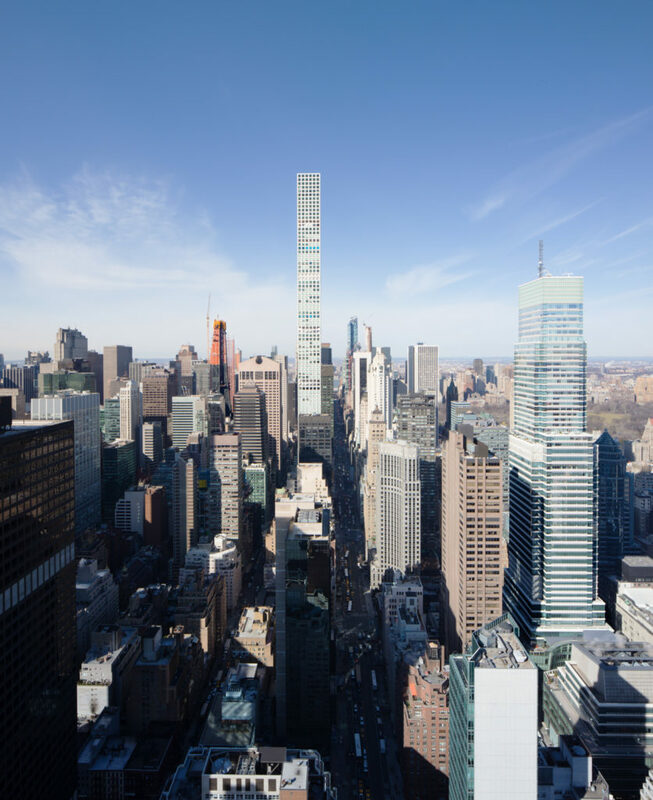 The world’s current tallest residential tower, 432 Park Avenue, has broken a record. 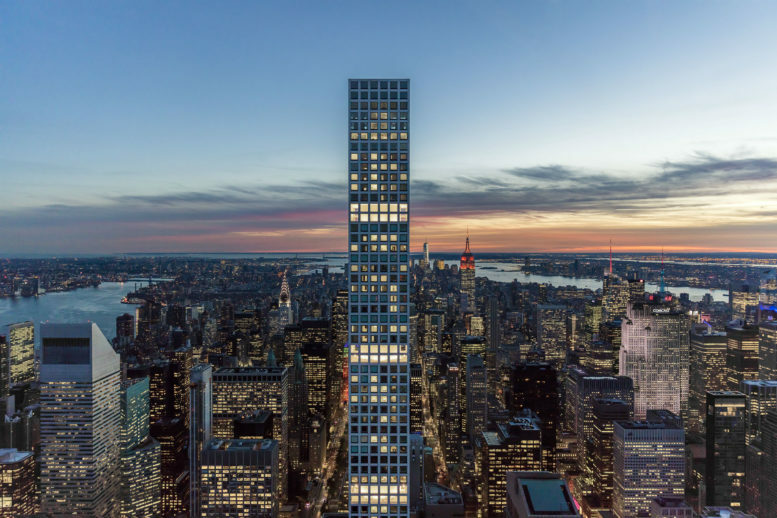 Total sales of its condominiums have now surpassed $2 billion, and co-developers CIM Group and Macklowe Properties have made the announcement that their Midtown project has now achieved the all-time record for all of New York City. This news leaves the developers just $1.1 billion dollars shy of their expected total $3.1 billion sell-out. Since sales started in 2016, the project has had 48 residences surpassing $20 million in price. The building was particularly successful this past January and December. Just last week, Curbed reported on the sale of two penthouses on the 93rd floor, yielding a combined 7,929 square feet. The most notable recent acquisition was for a three-penthouse combination selling for $91 million, the most expensive listing sold citywide in 2017. According to TRD, the units were purchased by an anonymous Chinese buyer, who now owns 11,900 square feet spread across two floors. Rafael Viñoly’s design is notable for its inspiration, and New York City’s obsession, the square. Each unit features 12’6” ceilings, 10’ by 10’ windows. The higher floors have completely unobstructed views of the city, rivers, and states surrounding. Deborah Berke is responsible for the interior designs. A selection of half-floor and full-floor units are still available, including some penthouse units located over 1,100 feet above the ground. 7 Comments on "432 Park Avenue Sets Single-Building Record For Highest Residential Sales in New York City"
This sounds like $2B in revenue, not $2B in profit. If the profit is so high, then the developers are not contributing enough to maintain the city’s infrastructure and transit. Bad deal for the city. A missed opportunity. This building turned out better than I expected. The design is quite striking and you can appreciate the refined detail of the exterior as viewed from the street. The Rafael Viñoly design is far superior to his Walkie Talkie mistake in London. The tax shelter it will provide for shady billionaires is a testament to our current cultural priorities. Maybe after the pitchforks, the units will be subdivided down to studios with a single 10×10 window. How much of the building is automated with lighting control and motorized shading? or are there switches and drape strings everywhere? The building had a budget of $1.25B to construct… They are looking at a 150% ROI. The city couldn’t weasle some second avenue subway funding out of a deal that large?